We feature a full line of STUCCO mailboxes to complement any home with over 100 combinations in countless finishes. The materials that we use will never rust, ensuring years of lasting service. Our patented stucco, brick and stone structures come in standard and custom designs in order to enhance the architectural features of each home. We work with clients one-on-one to create a design that is unique, and we can enhance that by matching the paint to your house and trim colors. 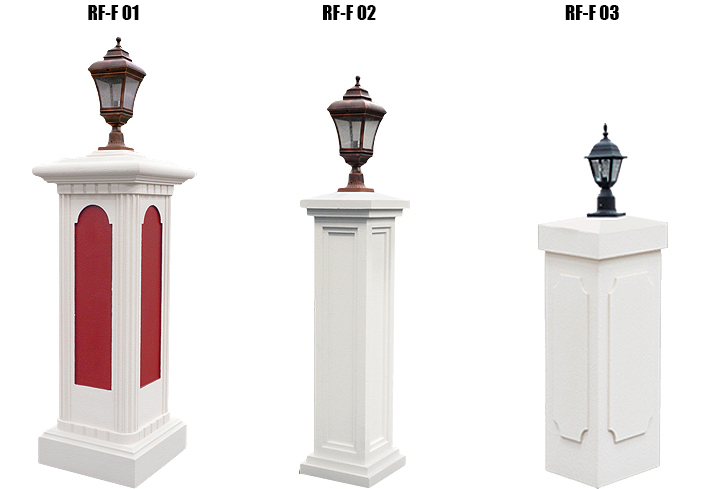 Based on customer demand, we have added a full line of Outdoor Pedestal Lamp. These products are very durable, more weather resistant and provide a longer life than traditional wood products. Moreover, they can be accepted in a myriad of ways. 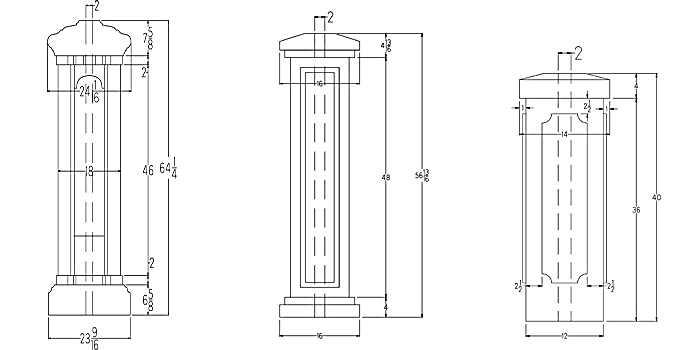 New stucco column ready to install over your 4″ x 4″ wood post. styrofoam core with ready-to-paint stucco exterior. The double coat is also ready to paint. Double Coat is typically used if you will not be applying a final stucco finished coat. The second layer of cement coating is thicker and stronger than the standard single-coat and may be better suited in areas of potential higher surface impact, such as around doorways and other high-traffic areas. Typically used for the exterior application. Look is like unpainted cast concrete. May be faux finished or simply be painted. Working with you we can develop a variety of designs to provide just the right look for your community. Our organization prides itself in providing quality products and exceptional service. Royal Foam offers Mailbox & Pedestal Lamp at following markets: – Apartments – Community development organizations (CDDs) – Residential homes – Homeowners associations – Colleges and schools – Private postal centers – Corporate mail centers – Military bases – Office buildings – Residential developments – Churches – Medical facilities – Condominiums – A host of other applications.